Lenders use the break-even ratio as one of a handful of analysis methods in consideration of providing finance for real estate investment property. Too high a break-even ratio is a cautionary indicator. Whether pre-screening properties yourself to firm your position prior to seeking bank funds or to assure you're applying your own funds most effectively, utilizing the break-even ratio is a great early-stage practice to add to your own purchase strategy process in making these decisions. 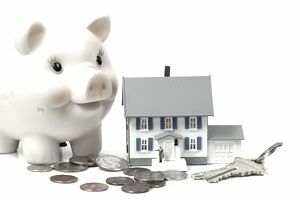 Determine the debt service for the property. In this case, we'll assume an annual debt service of $32,000. Determine the annual operating expenses for the property. In this case, we'll assume that management and direct operating costs annually are $47,000. Calculate the annual gross operating income of the property. We'll assume a gross operating income of $98,000 annually. Add Debt Service to Operating Expenses and divide by Operating Income: $32,000 + $47,000 / $98,000 = .81 or an 81 percent Break-Even Ratio. Get the top calculations in our Real Estate Financial Calculator Spreadsheet. The break-even ratio is used by lenders to commercial real estate investors. Crowdfunding is relatively new but growing fast due to high interest and government rulings changes that are opening it up to more people with smaller amounts to invest. Crowdfunding takes advantage of technology and the internet to open up large commercial project investing to smaller investors. Some opportunities are available to investors with as little as $1,000. Most, however, are requiring $5,000 to $25,000, still far less than the six figures required in the past. There is a report out by Joe Stampone, a NYC blogger, and it highlights his top seven picks for real estate crowdfunding sites. They cover different platforms and ways in which to invest, from equity through debt to investing across crowdfunding sites. Let's run through the basics of the benefits or real estate investing. There are many ways to profit from real estate investing. When you purchase a company's stock certificates, you're looking for appreciation in the stock value, and perhaps dividend income if the company pays it. With bonds, you're looking for income yield on the interest rate paid by the bonds. With a real estate investments, there are more ways in which to realize a superior return on investment. Learn the ways in which your real estate investment can increase in value, as well as provide good cash flow. You can lease to own as an investor with little of your own cash. Lease to own for real estate rental property investing isn't a flipping strategy. It's a long-term hold for cash flow technique. The rental property investor wants to own the property for a number of years, actually, as long as it is producing acceptable cash flow and isn't requiring extensive renovation. Appreciation - Rental properties normally appreciate in value with inflation. Increased value can mean sale and reinvestment in higher value properties, or provide an equity line of credit to use for other investments. It is the second, and a historically proven, value component of real estate investment return. Cash flow is the main reason most investors love rental properties. If you're considering investing in real estate rental property, there is a lot of research to do. You should also be sure that you're suited to being a landlord, and that you have the time to manage properties. However, all that aside for now, what we want to do here is examine the way that a property generates cash flow from rental operations. Another advantage is using assignment contracts. Visualize a real estate purchase contract with just a few extra words added to your name as the buyer. It would look something like this: "Buyer: John J. Doe, and/or assigns." That's it. Seems simple, and it is. The facts clearly tell us that real estate investing has many distinct advantages over stocks, bonds, and other asset classes. Give it a look, and you'll agree.